We are the company who finds its niche at the cutting edge of the social media revolution. 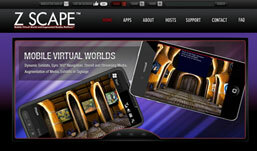 Games, websites, social media systems, portals, online entertainment, virtual worlds. The Illusion Factory helps our clients by innovating the new methods that consumers use to interact with their favorite brands. "Designing and developing a fantasy game is as ambitious as projects come. Working with Illusion Factory and Strat-o-matic to redesign our suite of Fantasy games exceeded our expectations while under the tightest of deadlines. From working with Brian Weiner, Illusion’s CEO to their project managers, programmers and designers, I was met with professionalism and integrity every step of the way. Sports Illustrated Kids is looking forward to many more years of collaborating with this brilliant shop." "I love working with the Illusion Factory because Brian and his team seem to have never heard of such things as tight deadlines, overwhelming volume, or too many revisions. Each campaign is easier than the next!" "The Illusion factory always impresses me. Every time I bring them a project, they don't just do a great job...they BLOW MY MIND!" "Brian and his team are perfectionists. They never miss a thing, and exude a passion that is rare in this business, to every project we rely on them for. They become more a partner then a vendor. And it is that relationship that keeps us coming back time and time again." "Brian focuses more imagination and integrity to solve any creative problem, than any one I've met. He's a rocket of ideas and passion." "UCLA is where the internet began and with Nxtgen and The Illusion Factory we are exploring what the internet will become." "We have worked with the incredibly creative team at The Illusion Factory for more than 15 years. They have always come through with great work, outstanding service and have an impeccable record for delivering everything on budget and on time. They are genuinely a pleasure to do business with. Brian Weiner is a true gentleman!" "When we look to take the interactive component of our games and new media projects to the next level, The Illusion Factory is our first choice of vendors. They are creative, intuitive, deadline and budget conscious and they get it right the first time. They’re in a league of their own." "The Illusion Factory continues to lead the way with brilliant, creative and original artistry. It's been a privilege to have their designs represent and express my films." "Brian and The Illusion Factory come through with the most innovative solutions every time. If their imagination can continually fill our screens, it can fill anything." The Mobile Virtual World and Augmented Reality Platform™ is the perfect set of tools for entertainment exhibits, accompaniment to trade shows, consumer interactive promotions, virtual tours of museums and galleries, augmentation of tours to existing locations and exhibits, gaming opportunities, enhanced sponsorship integrations, digital souvenir collections and so much more. The GPS functionality allows access to all map-based functions, insertion of user into current locality, and channels the proper data streams, while the gyro functionalities provide a rich virtual navigation experience, enhanced game interactivity, and links to real world app benefits. Copyright © 2011 The Illusion Factory All rights reserved.